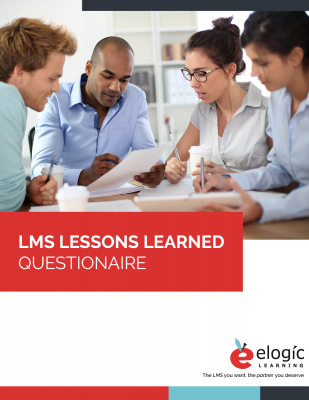 Going through another LMS buying process or going through your first? It helps to define some of the requirements you’re looking for plus what didn’t work in the past. Through this questionnaire you’ll be able to ask yourself questions and brainstorm what you need for the future. Were your system requirements accurate? What made you unhappy about your last LMS vendor and what are you looking for in a new vendor? Did you receive adequate product support or could it have been better? Did you ask for references last time?